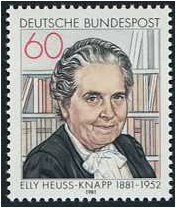 Germany 1981 Elly Heuss-Knapp Stamp. SG1946. Unmounted Mint 1981 Elly Heuss-Knapp Stamp. SG1946. Germany 1981 Disabled Year Stamp. SG1947. Unmounted mint 1981 Disabled Year Stamp. SG1947. 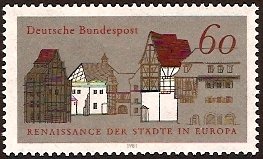 Germany 1981 Urban Renaissance Stamp. SG1948. Unmounted mint 1981 Urban Renaissance Stamp. SG1948. 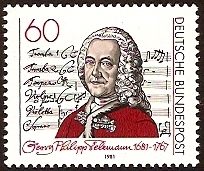 Germany 1981 Telemann Commemoration. SG1949. 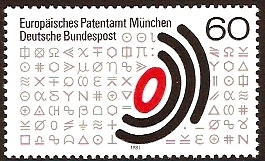 Unmounted mint 1981 Telemann Commemoration. SG1949. Germany 1981 Guest Worker Integration. SG1950. 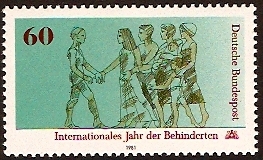 Unmounted mint 1981 Guest Worker Integration. SG1950. 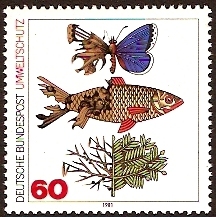 Germany 1981 Environment Stamp. SG1951. 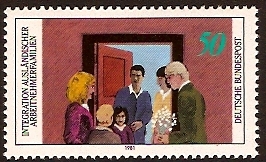 Unmounted mint 1981 Environment Stamp. SG1951. Germany 1981 Patent Office Opening. SG1952. Unmounted mint 1981 Patent Office Opening. SG1952. 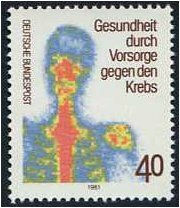 Germany 1981 Cancer Prevention Stamp. SG1953. Unmounted Mint 1981 Cancer Prevention Stamp. SG1953. Germany 1981 Optical Instruments Set. SG1954-SG1957. Unmounted mint 1981 Optical Instruments Set. SG1954-SG1957. Germany 1981 Sport Fund Set. SG1958-SG1959. Unmounted mint 1981 Sport Fund Set. SG1958-SG1959.